Burrata is a creamier, soft textured alternative to mozzarella that completely shines in this summer salad recipe. 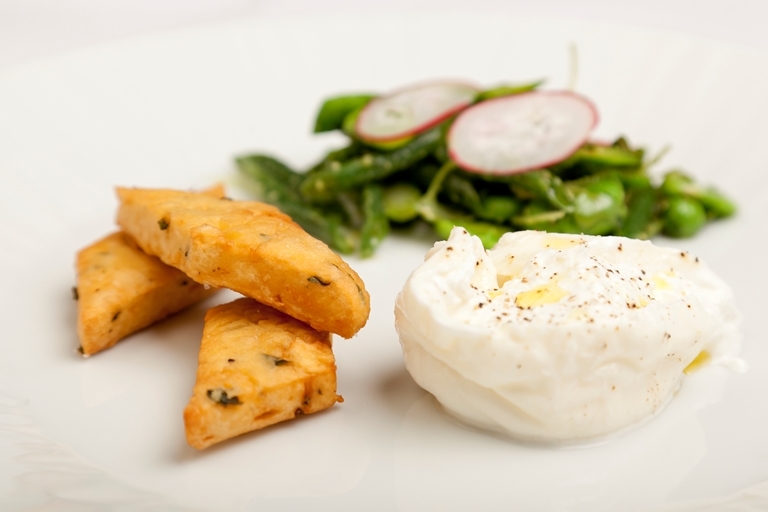 Shaun Hill pairs the salad of peas, broad beans and artichokes, with some delightful chickpea fritters. This is a great vegetarian recipe to enjoy during the British summertime.